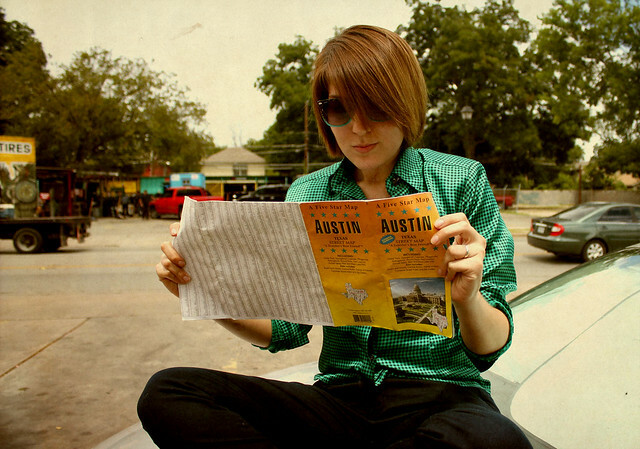 Mark and I took a day trip to Austin yesterday. Our main mission was to take our camera in for some repairs and we thought it would be nice to spend the day looking around town. We visited a Thrift store near the camera repair store and I found a great rug, a pillow and a colorful cup set all for only $30. Afterwards we went to Buffalo Exchange, a resale fashion store on Guadalupe Street. I found two tops and a necklace. We’ll have to check out the San Antonio location soon. After looking around for other Thrift stores to visit we decided to have lunch at my favorite all Vegetarian Mexican Restaurant Mr. Natural (There’s no relation to the R. Crumb character, that I know of). 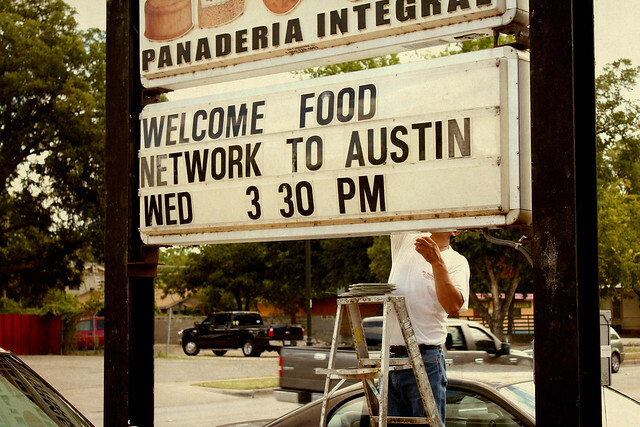 As we were driving up we noticed that a new sign was going up to promote Food Network coming to Austin for a new special called The Veg Edge. I mentioned in a pervious post that my sister Nadia, a vegan firefighter is going to be part of the filming at Mr. Natural. I’m sure they are advertising the event so the place to be packed when Food Network comes this Wednesday. The food is so good and good for you. They have lots of vegan options too! Their lunch special includes your choice of salad, an entrée and two sides. It’s all really filling, not greasy and really tasty. I love their vegan tamales the most. 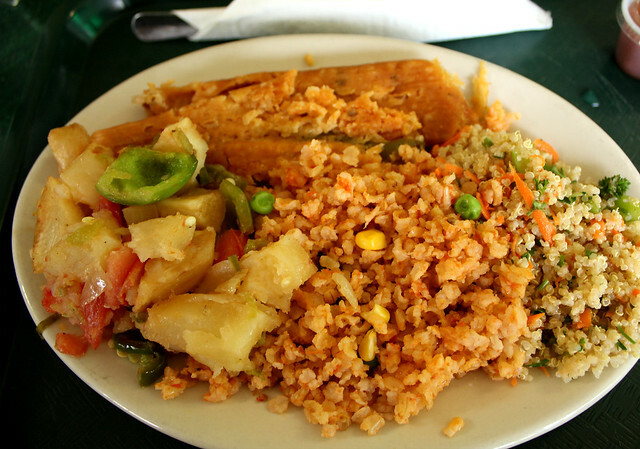 Mark had the lunch special with Quinoa Salad, Tamales, Spanish Rice and Spicy Potatoes. Mr. Natural also has a really great selection of dessert pastries which I highly recommend. wow the Food Network “veg show” tip is fascinating! This will surely start the rumor mill going on “the veg edge” as a possible new show! Did you find out any further info on this?? I’d love to post about it on my blog if I could get a few more details! From what my sister told me The Veg Edge is a one hour special looking at the rise in vegetarian and vegan cooking across the country. They’ve taped in Seattle, Portland and New York. They just filmed in Austin today and they’ll also go to LA.